When to Use Modifier 91 - Outsource Management Group, LLC. When to use Modifier 91? Modifier 91 is used for the reporting of repeat laboratory tests or of studies that are performed on the same patient on the same day. You will only add Modifier 91 when additional tests results are to be subsequently obtained to the initial administration or the performance of the tests done on the same day. Modifier 91 is not used when laboratory studies or tests are rerun as a result of equipment or specimen malfunction or error. It is also not used when a test is repeated to confirm the results that the initial test reported. In addition, based on the Modifier 91 definition, it should not be reported when the basic procedure code indicates that there is going to be a series of tests obtained. CPT codes that will be used with Modifier 91 are in the 80047-89398 laboratory code range. It there are services with multiple units you should bill them on one line with the modifier indicated along with the appropriate units. Medical billing has some nuances that all billers need to be aware of when they are submitting claims to the insurance companies. One of those nuances is the use of the modifier. A modifier is used to provide additional information to a current procedural terminology code, where the code does not present. 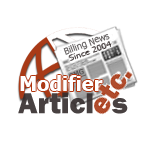 Modifier 91 is often misused when medical billing is being done. Modifier 91 is used when there is a need to report multiple diagnostic tests during the same day. For example, when a patient is rushed to ER and a glucose test is done that determines the patient is hypoglycemic, the patient is then given glucose gel. 15 minutes later the ER staff will redo the glucose test to see if the glucose level has stabilized. This is a Modifier 91 incident. If the hospital had submitted the claim with two glucose tests but they had not used the modifier only one of the tests would have been paid for. Whereas when the hospital submits a claim for the two glucose tests and one has the Modifier 91, the insurance company then knows that this test was ran twice in one day and that it isn’t a duplicate. In this way, multiple tests on the same day can be reimbursed. With Modifier 91 use in medical billing, there are common misuses. The Modifier 91 shouldn’t be used in medical billing tests where serial measurements are needed. For example, when a certain test is done several times in order to compare the measurements, Modifier 91 shouldn’t be used. In addition, don’t use Modifier 91 when a lab test is repeated because of equipment or specimen problems. Only use when multiple tests are needed to test the patient’s health again. When you use Modifier 91 in your medical billing you can save yourself a great deal of headaches. This modifier can prevent you having to later have to call the insurance company and follow up. It can prevent the need for future claim resubmissions. Medical billing is a very skillful process and when you use the Modifier 91, you can really streamline this process to benefit you. In summary, the appropriate usage of Modifier 91 is used to identify a subsequent medically needed laboratory test on a previous laboratory test on the same day with the same patient. Make sure you use it correctly.